We are excited to introduce our newest addition to our rustic collection. 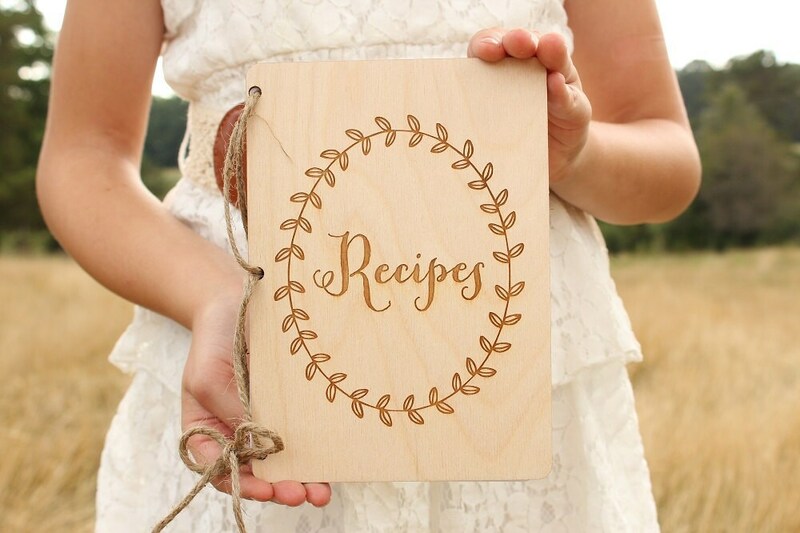 A perfect gift for a new mommy, new brides and more.! 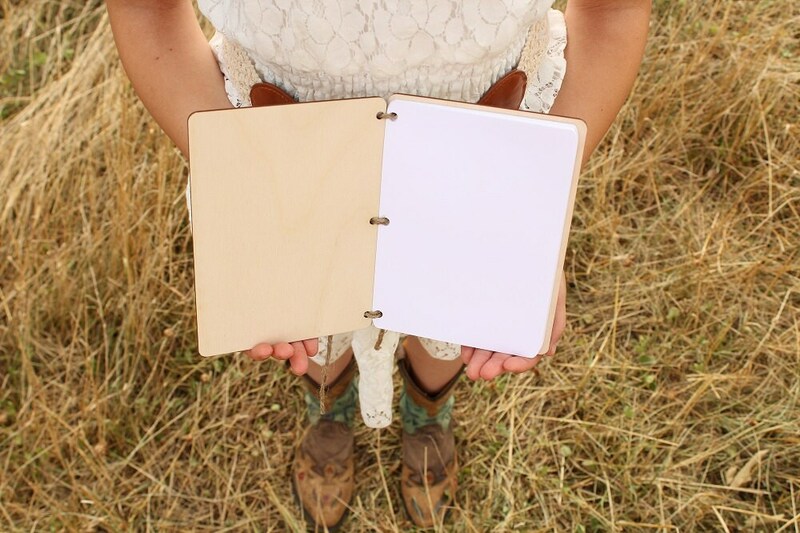 ♥ Hardwood front and back covers that have been laser cut. 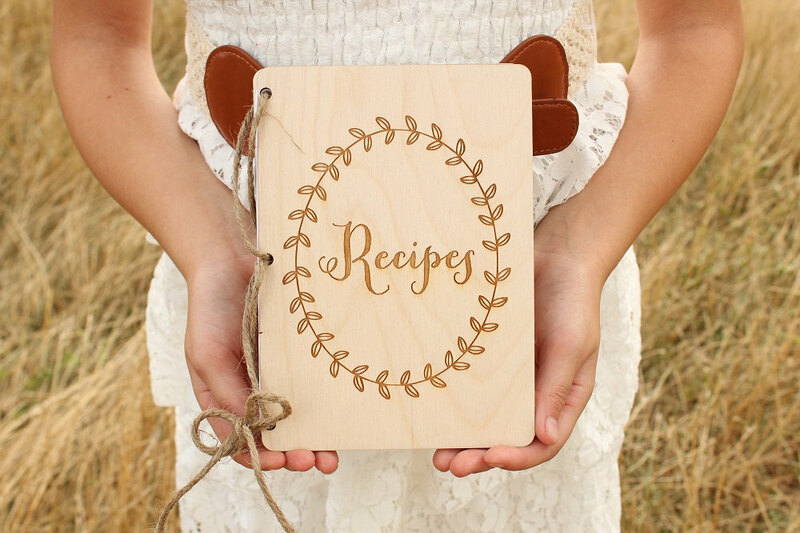 ♥ 'Recipes' w/a beautiful Laurel wreath have been laser engraved into the cover to give that perfect rustic look. 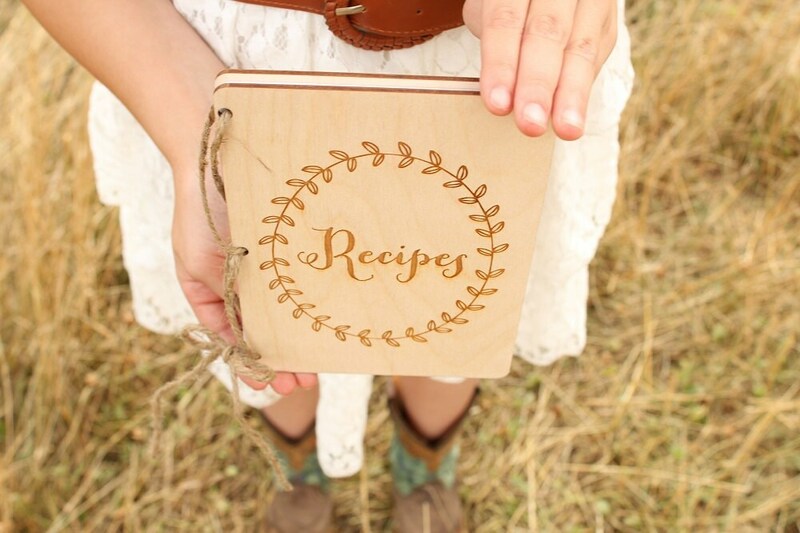 ♥ Jute twine binds the book together. 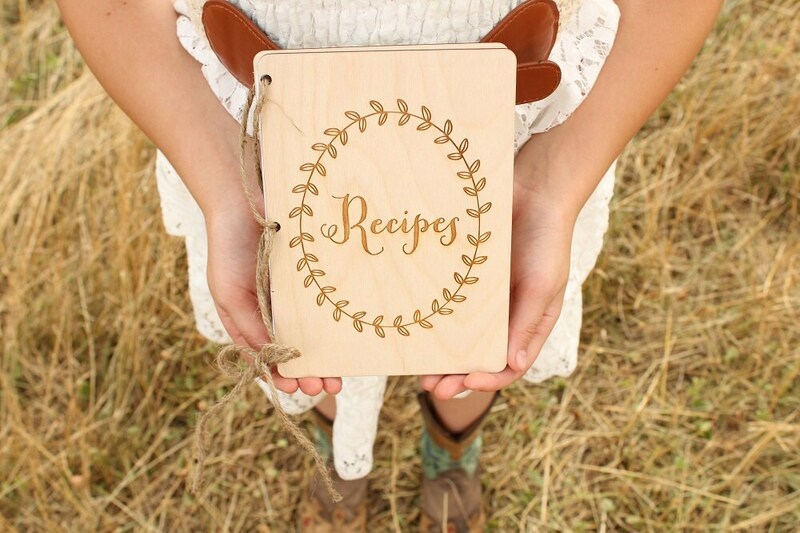 I ordered this custom book as a guestbook for my sister for her wedding. She absolutely loved it and it is a perfect keepsake for years to come. Item is just as described. I love it!